They had been called by a man who claimed to be a detective in the Metropolitan Police. He said he was investigating the use of counterfeit money by banks in Andover. He persuaded the couple – a man in his 70s and a woman in her 80s - that they needed to withdraw money from the bank so that it could be tested. Sadly, they believed him and withdrew £7,500 from a bank in Andover on Monday 18 February. The money was then collected by a courier. They were then told to withdraw £44,000 from another bank. When they attempted to do this on Tuesday 19 February, bank staff became suspicious and called the police. No further money was lost. Officers have spoken to the couple and will follow-up to provide advice and reassurance. Inspector Chris Taylor said: “Unfortunately such courier fraud is common and often very convincing. “In this case, the ‘police officer’ told the man to check his identity by dialling 999. However, the caller did not hang up, keeping the line open – and the man was further persuaded by someone falsely claiming to be in the Metropolitan Police’s control room. “Please remember that police officers will never call people in this way and ask you to withdraw money or disclose personal or financial information. “If someone does do this, please hang up – it will be a scam. “Additionally, consider contacting your telephone provider to get a free call-blocking service if you are getting unsolicited calls. If you or someone you know has been a victim of this type of fraud, report it to us by calling 101. If a crime is in progress, dial 999. 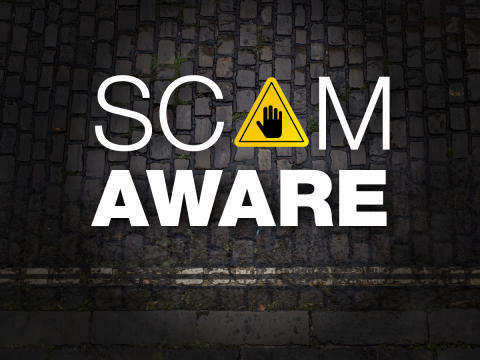 You can make yourself aware of this type of scam and how to protect yourself against them by visiting the Action Fraud website (https://www.actionfraud.police.uk/) or by calling them on 0300 123 2040.